Forestle.org is a “green internet search engine”. 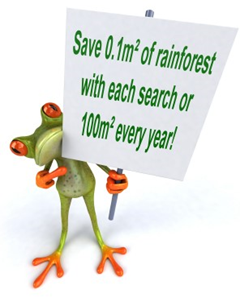 On their homepage they say, Save 0.1 yd of rainforest with each search you do at Forestle. So I think it would be a great idea to give this search engine a try and save some square kilometres. Forestle is also available in most of the languages of the school partners of this project. So it can also be used from our pupils in their mother tongue. We are looking forward to read about your experiences with this search engine.